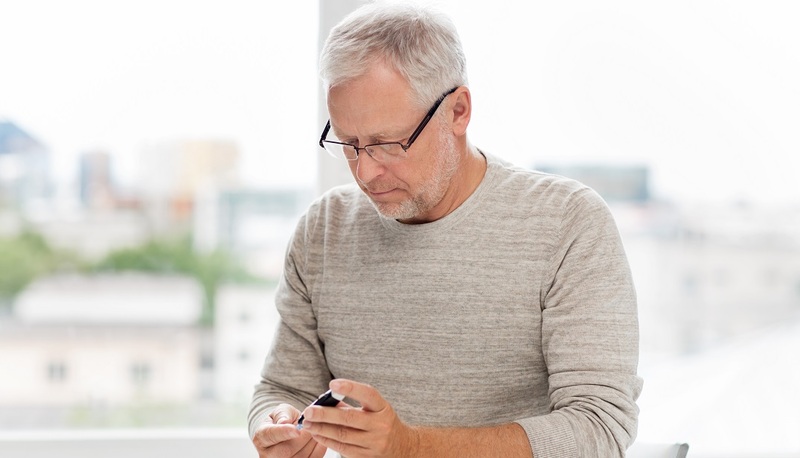 1 in 10 men are at risk of Type 2 diabetes – what symptoms to look for? 1 in 10 men are at risk of Type 2 diabetes – would you know what symptoms to look for? So, it’s Men’s Health Week and this year the UK focus is diabetes. And we want to talk about Type 2. It’s the most common type, and guess what – it’s often caused by unhealthy lifestyles and diets, and often goes untreated. Yes; men in ‘not taking illness seriously enough’ shocker. Medically speaking, Type 2 diabetes is when the pancreas cannot make enough insulin, or when the insulin it does make doesn’t work properly. This means the body cannot metabolize sugar properly which can lead to damage of vital organs. The reason diabetes has been chosen specifically for Men’s Health Week is that men are 26% more likely to develop Type 2 diabetes than women, and 1 in 10 men now has diabetes. Shocked? We were too. These figures are predicted to rise over the years, but with only 30% of a man’s health being destined by his genes, that leaves a whole 70% of male Type 2 diabetes sufferers (probably) with a preventable condition. First of all, do you have it? It could actually be that you’re suffering from Type 2 diabetes and don’t even know. So to kick off I’ve put together some tips on how to spot this lurker. And then there’s a list of small tweaks you can make to your lifestyle to make big improvements on your health. Awareness needs to be raised on the commonness of diabetes and the simple steps you can take for prevention. YIKES, THAT SOUNDS LIKE ME! What if I have Type 2 diabetes?! What shall I do? Well, first of all, get to the quack and get tested properly. We’re not doctors and would never advocate self-diagnosis from an article online! So be responsible, and make sure one way or the other. Sugar is the devil’s work. Consumption of sugar puts those already at risk of diabetes at a much higher risk. This is due to your body releasing insulin to help sugar get out of the bloodstream. People with pre-diabetes are immune to insulin’s action, so lots of sugar remains in high levels in the blood, and your body releases more insulin to compensate. Over time, high levels of blood-sugar and insulin eventually lead to Type 2 diabetes. Avoiding foods that are high in sugar can help reduce your risk, so eat some fruit and veg instead of chocolate and chips! I know no one likes to hear this one, but get active. Doing as little as walking 30 minutes or climbing 50 steps a day can reduce your risk of diabetes (and heart attack!) This is due to the fact that exercise increases the insulin sensitivity of your cells, so when you exercise, less insulin is required to keep your blood sugar under control. Aim to walk 10,000 steps a day, or find some physical activity you love, just try not to stay still all day as this is worst thing you can do. You’ll be pleased to know that I’m not about to tell you to cut out alcohol altogether, those who drink 4-10 drinks a week actually lower their risk of Type 2 diabetes. However, drinking more than 10 drinks a week can double your risk, so moderate your drinking, drink water in between drinks, and drink slowly. It’s not a race. The majority of people (though not all) who develop Type 2 diabetes are overweight. Excess fat around the abdomen and midsection (aka visceral fat) causes inflammation and insulin resistance, which as we know, increases the risk of diabetes. Doing all three things above in a healthy way will help you to lose weight and cut the risk of Type 2 diabetes and many other health risks. Water should be your primary beverage; studies have shown that increased water consumption can lead to better blood sugar control and insulin response. Studies have also reported that drinking coffee on a daily basis reduced the risk of Type 2 diabetes by 8–54%, with the greatest effect generally seen in people with the highest consumption. Coffee and tea also contain antioxidants that can help prevent diabetes, and green tea contains a special antioxidant called epigallocatechin that has been shown to reduce blood sugar release from the liver and increase insulin sensitivity. So now you know how to spot diabetes, and some ways to prevent your risk. If you have a feeling that you may have it, book an appointment with your GP ASAP. Women live on average 4.4 years longer than men and this is partly due to the fact they are more likely to go to the doctor if they suspect something is wrong.